The State Health Insurance Assistance Program (SHIP) is a free & unbiased counseling program provided by the Indiana Department of Insurance for Medicare beneficiaries in Indiana. The U.S. Census Bureau recently released figures that showed local volunteer counselors donated more than 70 hours in a two-month period to assist 94 Shelby County residents with questions regarding insurance needs. Volunteer SHIP counselors include Kathyryn McFarland, Marlene Terrell, and Dorine Wolsiefer. They may be contacted by calling Senior Services, 317-398-0127. 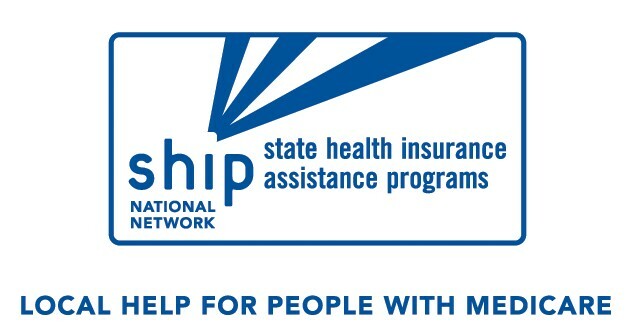 State Health Insurance Assistance Program (SHIP) is a free counseling service provided by the Indiana State Department of Insurance and the Centers for Medicare & Medicaid Services. Every state has a SHIP program, but it may be called a different name (In Florida, SHINE; In Ohio, OSHIIP). SHIP helps answer questions about Medicare, Medicare Supplement Insurance, Medicare Advantage (managed care programs) Medicare Part D, long term care financing options, prescription coverage, and low-income assistance. SHIP provides free, impartial information to help consumers make decisions regarding their health care choices. We strive to help them be wise consumers and to get the most value for their health insurance dollars. Regular training updates keep staff current with the most recent changes in Medicare and other health care insurance options. There are 80 sponsoring agencies throughout the state that house SHIIP programs. SHIIP also provides training to other agencies that serve people with Medicare. In addition, SHIP has an 800 helpline and website. These are 1-800-452-4800 and www.medicare.in.gov. • Provides educational materials and brochures. • Educates beneficiaries so that they can understand Medicare, organize their records, file claims, and appeal Medicare decisions. • Teaches consumers to assess their needs so they can make informed decisions about their health insurance policies. • Informs consumers of their rights as a Medicare beneficiary or health insurance policyholder. • Shows consumers how to evaluate the various Medicare Part D, supplement and long term care insurance policies currently available. • Refers clients to appropriate agencies where they can get help with other needs. • Assists clients with finding help to pay for their prescriptions including Hoosier Rx, manufacturers’ patient assistance programs, and retail discounts. • Provides speakers to make presentations to groups. SHIP is staffed by a crew of 303 volunteer counselors who have completed an intensive 30 hour training course and are certified by the Indiana State Department of Insurance.